Looking for some help teaching writing to elementary aged students? 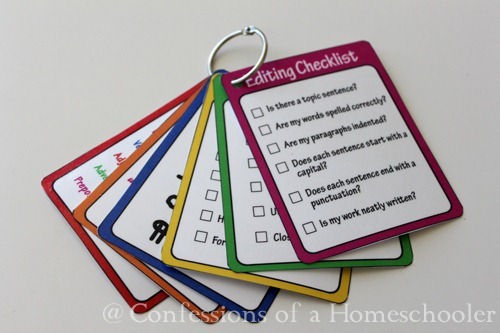 Looking for some creative writing pages, editing checklists, and story planners? Look no further! This year I thought I’d get a head start on our writing process and created some helpful printables to help make writing a little easier and a little more fun! One of the things we need to work on this year is our writing skills. Writing isn’t Turbo’s favorite subject and I found out that he does much better if he has a way to plan out stories or letters prior to working on them. So this year I created a bunch of different writing pages to help make the process a little less painful. I hope this blesses you in some way and makes writing a little bit more fun! For some great writing prompts to go along with these printables check out the Writeshop StoryBuilders! They have several different options, themes, and ideas to help reluctant readers be successful with creative writing! THANK you for this, and for all the tools you give us moms to help us teach our kiddos. YOU are such a blessing to me, and I just wanted you to know! I wouldn’t be where I am in my homeschooling adventure without your generous and wonderful resources. Thank you. Awesome stuff! Thanks a bunch! I wonder if you ever do Office Printables? I am seeing them more and more to help kids with have a basic reference for important things like measurement, grammar, math etc. This is excellent! Thank you so much for creating and offering such a valuable tool! Once again… Out of the ball park!!! 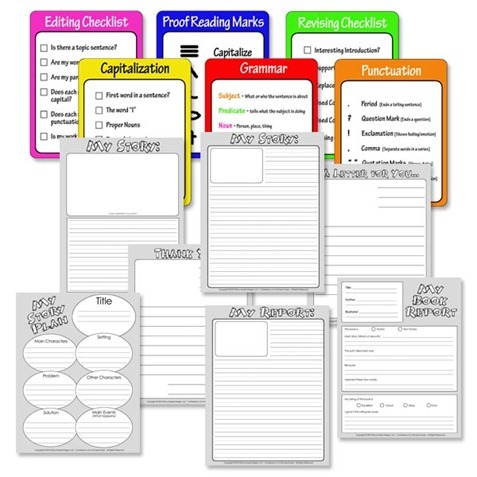 These are a great addition to the classroom. Thanks! Thank you! Love love love this! I’ve been trying to sort through this in my head, how to do similar, as all of my school-age children will be doing MUCH more writing this year…and you somehow pulled the idea together MUCH better than I was coming up with!